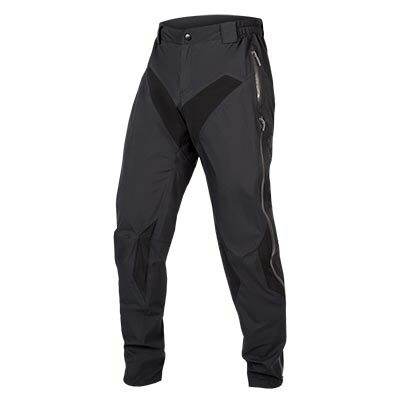 Part of the award-winning MT500 Collection. 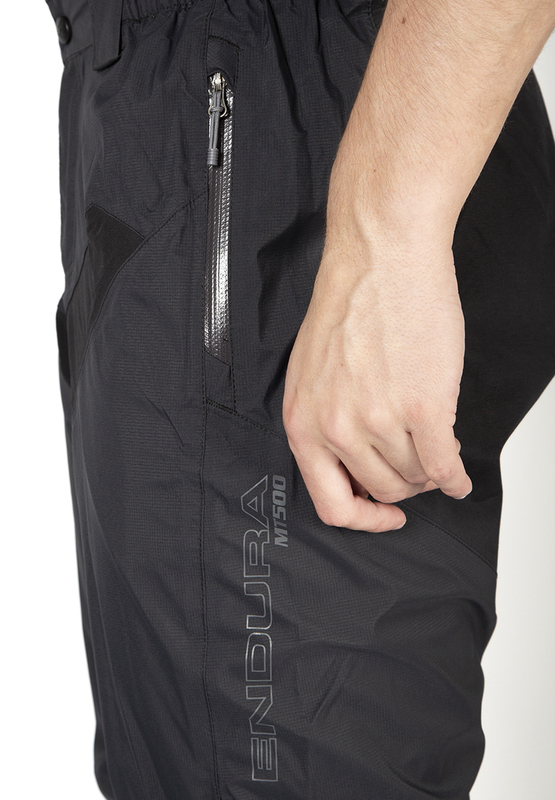 Endura has seriously turned up the "All-mountain" dial to create the latest iteration of these best-selling MT500 Waterproof Shorts. 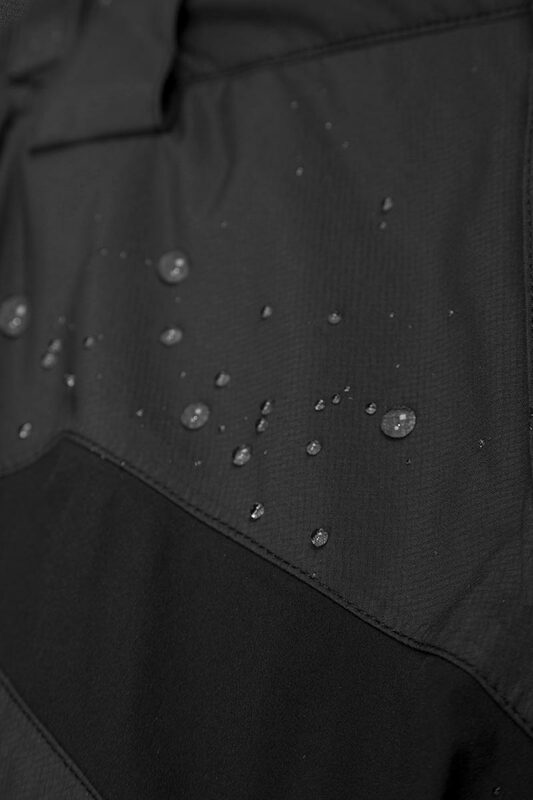 Now a fully featured all-day riding waterproof baggy. 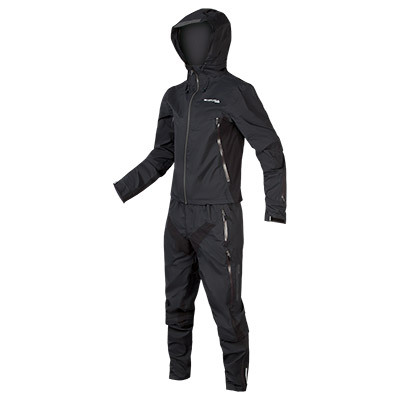 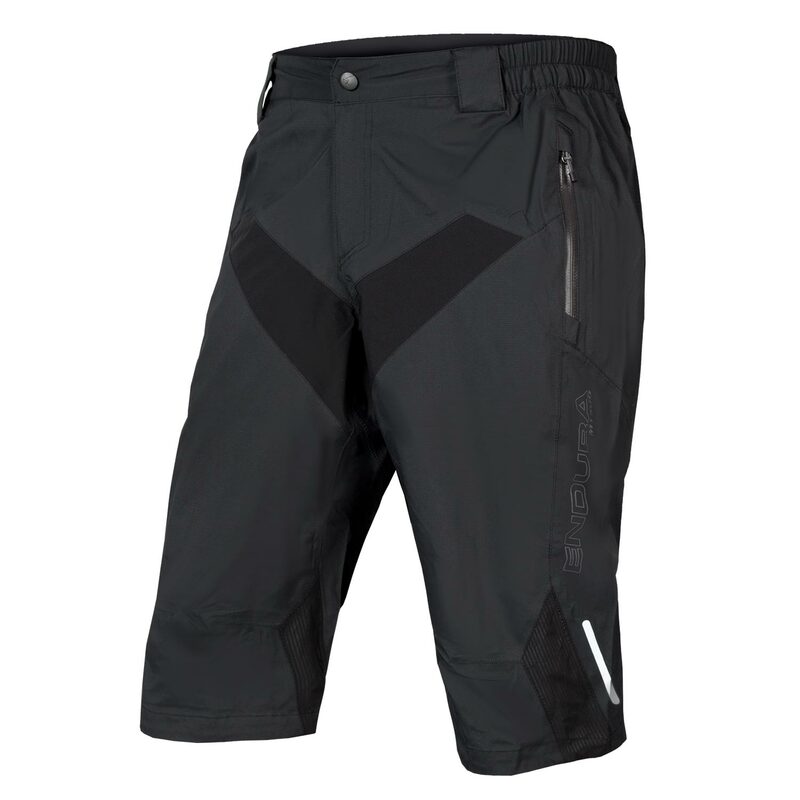 This short is packed with features, including a secure button closure waistband with zip fly and belt loops, zipped hand pockets, stretch waterproof panels for an articulated fit, and a durable seat panel. 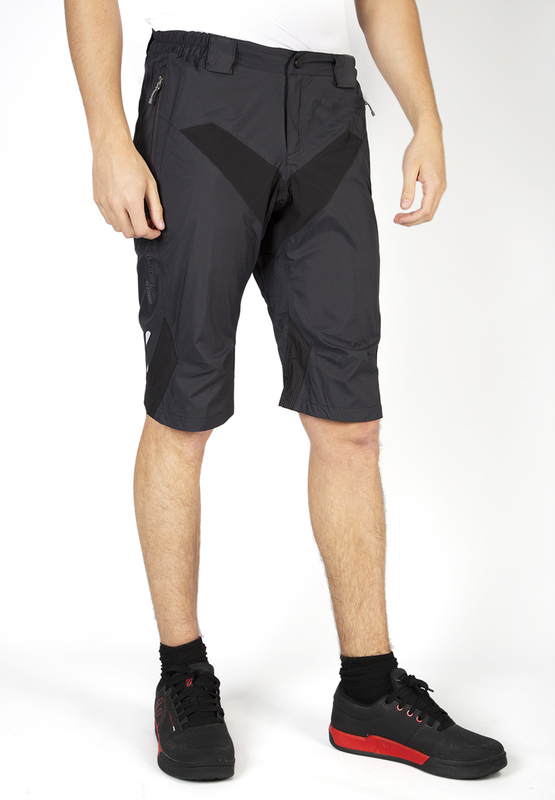 This waterproof short deploys ExoShell60™ 3-Layer waterproof fabric which boasts a monster 60,000 gm/m2/24hr breathability as well as being powerfully waterproof. 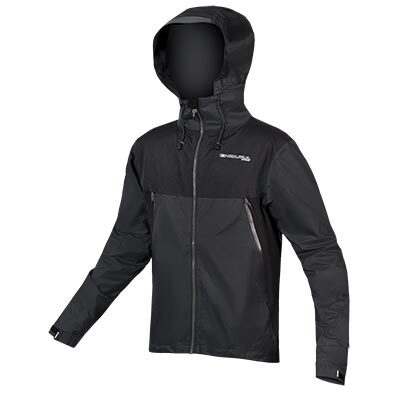 Not only that, but it is also environmentally friendly, containing no PFC’s. 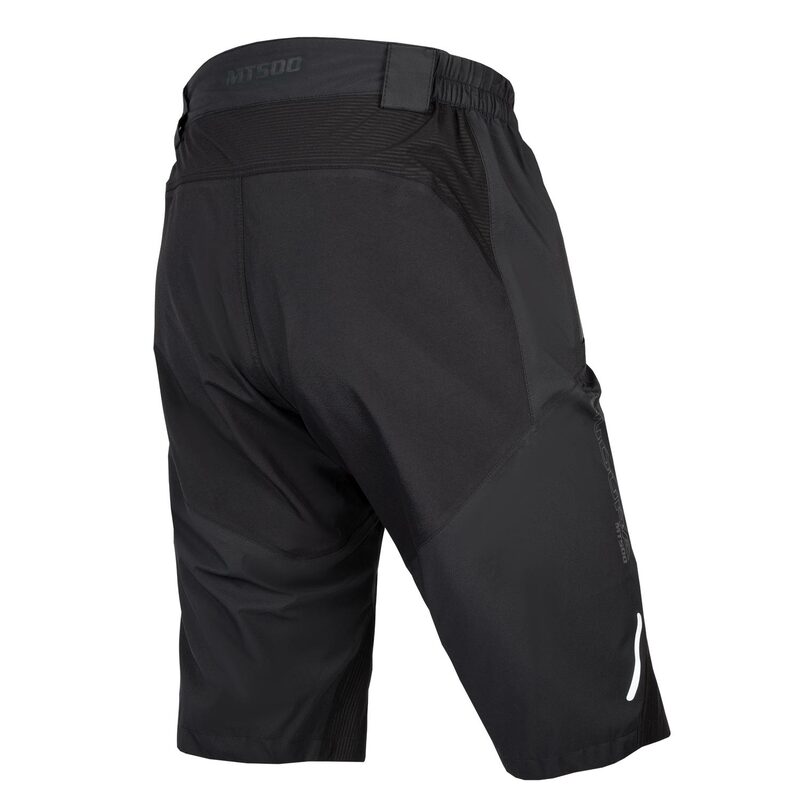 This waterproof riding short has Clickfast™ poppers on the inner waistband which allow you to securely fix any Endura Clickfast liner shorts inside. 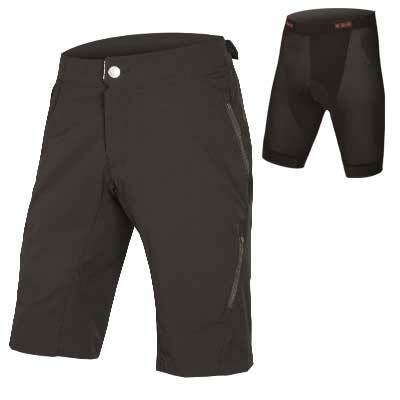 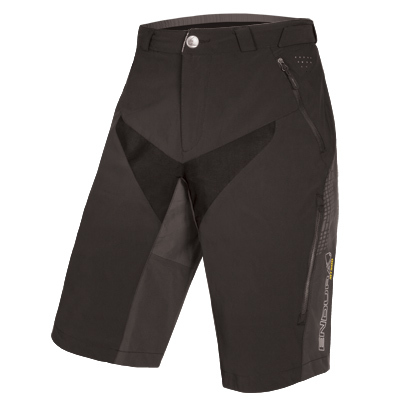 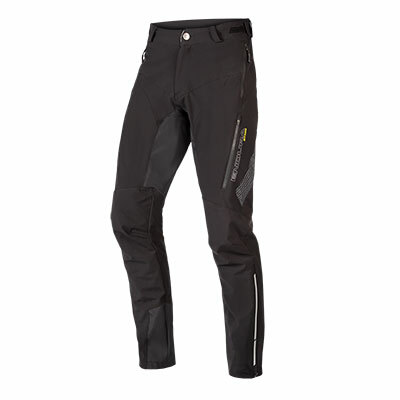 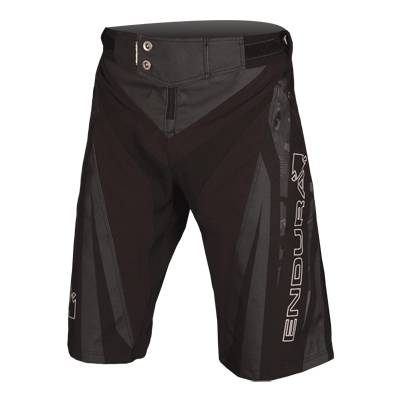 Liner shorts all have internal padding providing improved comfort in the saddle. 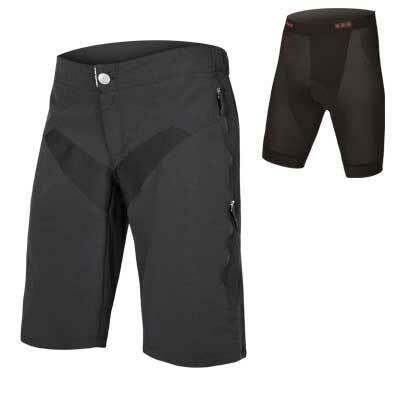 "Stretchy inserts on the front on the thighs and across the back help these shorts move with your body without the need for any excess fabric....The reinforced seat and water-resistant zips on the pockets underline the quality of the finish."